What’s your response? Do you fumble, start in one direction then go in another? Do you find yourself just getting started when the elevator reaches the floor where this fellow has to get off? Have you made the most of this opportunity? As an indie author, you will be asked many times what your book is about. Sometimes these inquiries are idle elevator chatter, but sometimes you’ll be asked the question by people crucial to your book’s success. At a trade show, for example, you might get asked the same question and have about the same amount of time to answer. Talking to a bookstore buyer falls into the same category. Recently, I met an author who was asked about his book by someone he was sitting next to on a flight. Before the flight was over, he had an order for 1,000 copies of his book. His talk with the person who asked about his book lasted a lot longer than an elevator ride, but those first 30 seconds are critical. Will your pitch draw people in, make them curious about your book, and let them know right away whether or not it’s for them? It’s customary in traditional publishing for authors to be encouraged to work on their “pitch.” What is a book pitch exactly? A pitch—sometimes referred to as an “elevator pitch” because it takes about as much time to deliver as it takes to ride an elevator from the lobby to one of the upper floors of one of those big buildings on Sixth Avenue in New York City—is a short sales pitch for your book. But it’s not just any sales pitch. Your book pitch has to accomplish a number of things at the same time, and do them quickly and efficiently. and why it’s different, exciting, or ground-breaking in some way. Consider that all this information must be delivered in 40 to 60 seconds, and you can see why crafting a great pitch is a bit of an art form. But why, you ask, do I need to do this if I’m not pitching any agents or editors? After all, we’re publishing our own books now, so who is there to pitch? The sole purpose of a pitch is to create interest in your book. It has to make people want to know more. Creating this quick summary can have lots of other ramifications. Here are some ways you’ll find your pitch being useful in other areas of your book promotion and marketing. When writing sales copy for flyers or ads, your pitch can be the basis of a great introduction to your book. Talking to prospective book buyers, your pitch is a handy way to quickly determine which people are more apt to be interested. Creating descriptive copy for book retailers or distributors can be much easier if you’ve already refined your pitch. 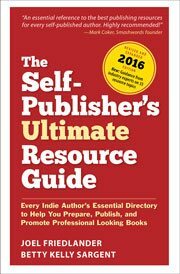 Wondering how to lead off your press release for the launch of your book? Your pitch has all the elements you’ll need in a brief form, making it easy to get your media release organized. When writing to peer reviewers or approaching people for testimonials, you’ll want a short but punchy way to tell people what the book is about. Your pitch will fill the bill. What about the back cover of your book? This can be crucial sales copy for someone considering whether or not to buy it. It’s a great place to use the elements of your pitch to show the value of the book. And it’s so true. It’s challenging to create a summary of your book that highlights exactly why it would be of interest, gives an idea of the type of book it is in terms of other books that might be more familiar, and distills the author’s experience and qualifications to write the book. Combining this with clear benefits for the reader makes it even more difficult. Be specific. It’s much more interesting to state specifics rather than to speak in generalities. Be appropriate. If your book is a comedy, your pitch should be funny too. If it’s a thriller, make your pitch thrilling. Try not to compare yourself to mega-selling authors. “Better than Harry Potter” won’t help your credibility. Do use specific comparisons where they work. Paring your pitch to its essentials will force you to focus on your book, its positioning, and its benefits to potential readers. If you can also communicate this with some excitement, you’ll have a winner. Try it with your own book and see what you come up with. This can be a valuable experience, and I’ll predict that you’ll be using the pitch you develop for years to come. I am a self-published author- just wondering about the world of getting re-published by a true publishing house? I know it is rare, but can you seek representation from an agent for a book you published yourself? Sure, editors and agents are always looking for good books, but be aware that since you’ve already been in the market they will be focusing on your sales figures to determine whether your book is commercially viable. I’m curious about your points on not comparing yourself to mega-selling authors, yet using specific comparisons where they work. How do you know whether a comparison works or doesn’t? Do you have any examples? Something I’ve been toying with is the “like X for Y”, e.g. “like Eat, Pray, Love for Gen-Y.” Does that work or not? Joel, thanks for this great reminder post. I especially appreciated the “lifetime of your pitch” section. Woke my “inner Old Adman right up. Using a refined pitch in all of your presentations and tools (such as book marks, etc.) has an added benefit of establishing recognition among consumers. Recognition can really help with word of mouth re-transmission of your sales message/pitch. I do love that quote on long/short letters! I have never seen it attributed to Goethe before. Although other people may have used their own version, the original is from Pascal: Je n’ai fait celle-ci plus longue que parce que je n’ai pas eu le loisir de la faire plus courte. http://quoteinvestigator.com/2012/04/28/shorter-letter/ gives, chronologically, other people’s versions of the same thought. Dorothy, thanks so much, and for a link to the delightful quoteinvestigator.com, a tool that should be in every author’s (and blogger’s) arsenal. Even if you’ve written Gone With the Wind, you have 30 to 60 seconds, or a couple of hundred words. It is daunting. It keeps me up nights. And I have 10 different versions, none of them exactly right. I read every post telling you how to pitch or blurb or synopsize (I’m declaring that a word if it isn’t already). I have nightmares about marketing. And then I go back and get buried loving the story as I write it. I’ll figure it out – or pick the options one by one and see which brings in sales – I KNOW it’s critical. Thanks for the suggestions – specific, appropriate, right comparisons – check! Added to the list. No wonder writers try to get someone else to do it. But if you can’t pitch your book to a total stranger on an airplane, you are in trouble! Just keep going, Alicia, it sounds like you are on the right track. And if you can, compare pitches with fellow writers to give each other feedback, and keep trying your current pitch out when people ask what you’re writing about. I’m not particularly shy – I think nothing of speaking to a hundred people or leading the singing in Princeton University’s beautiful chapel – but this is MY work, so the ‘shy’ kicks on. I’ll get over it – but it just occurred to me that I should print out my current efforts, carry them around, use one when necessary, and note what kind of reaction I get. That should at least give me a bit of anecdotal data. Thanks for the idea. I recently self-published my first novel, and although I am selling books, I want to expand into a broader base of readers. My novel is a well researched historical fiction taking place in late nineteenth, early twentieth century central Texas. It was inspired by my amazement in the number of ranchers here in Texas that are women. I’m a lover of historical fiction; I fear it is a dying genre because not many people are writing them anymore. They are very labor intensive. I spent as much time researching my history as writing my story. I am utilizing social media and a variety of blog sites etc. I have now made four public appearances since September. Any other suggestions? Thanks so much. Public appearances and networking in social media are both good ways to get more attention for your book. Since you did so much research you might think about submitting articles or excerpts from the book to paper or online publications, or using your website to publish articles on your area of expertise to attract readers who share your interest. Check out Joanna Penn’s excellent blog at http://www.thecreativepenn.com for more ideas on marketing for fiction authors. It’s important to polish your pitch, and keep modifying it based on reception. Many authors are less comfortable speaking than writing. If that’s your situation, try to force yourself to be more social. Don’t be reluctant to start a conversation with a stranger. Everyone an author meets is a potential customer. I’ve “sold” books to people sitting next to me on airplanes and standing in line with me at a Chinese restaurant and the police station. My wife sold a book to our dentist.